Hello, friends, and welcome to this week's edition of Grace at Home! I'm sorry that I've been absent from my online home here this week. I hope you know you're always welcome here, but I've not been here the last few days to open the door. If you've experienced anything like that when visiting my blog, will you please leave a comment below to let me know? 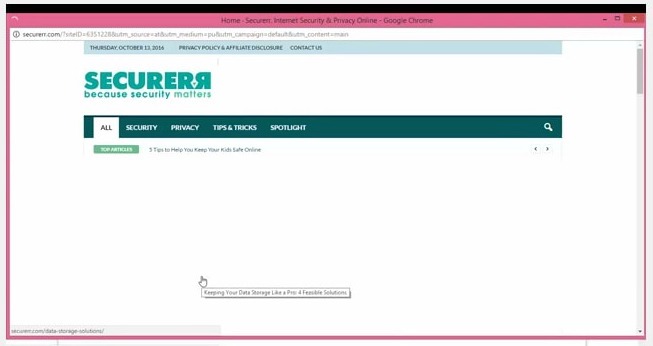 I have a couple of ads on my site, but there should never be anything that pops up and blocks the screen. I deeply apologize if that's happened to you. Please let me know if it has--I'm trying to get to the bottom of the problem so that I can fix it! Now on to the business at hand--our weekly Grace at Home party, where we celebrate all the ways we make our homes places of grace. Here are some posts from last week that caught my eye. 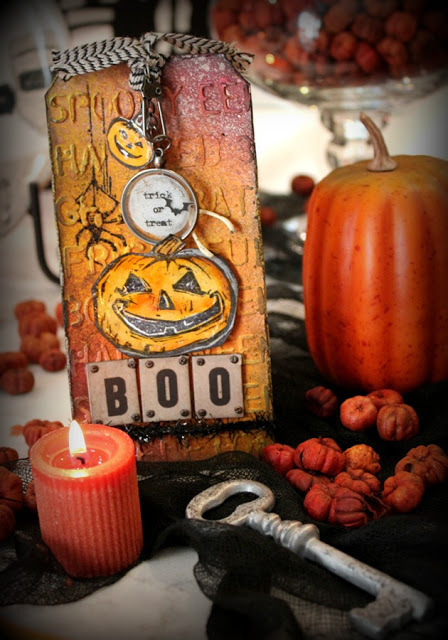 Jolena at While I Linger has been busy decorating her house for Autumn. I love what she's done in her kitchen and dining room--take a look! Judy from JBigg's Little Pieces showed us the "spooky" Halloween decorating she's done for her grandsons. I like this--a little Halloween fun but nothing extreme. Susan from The Sparrow's Home gave us great instructions for making freezer apple pie filling. I'd never thought of doing this, but what a great idea! Apples are delicious and inexpensive in the autumn, so I'm going to be doing this. 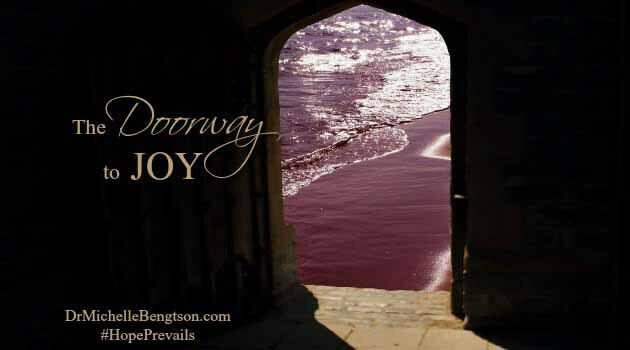 And Dr. Michelle Bengtson shared great insight on how to walk through the doorway to joy. Hi, Richella! What a surprise this morning to see my kitchen and dining room in the company of some pretty awesome features. I enjoyed that article by Dr. Bengston. We can never go wrong when we align our lives with the Word of God. Thanks for the party! No problems with your blog page or linking up, dear friend! Richella, thank you so much for the great inspiration! Always a pleasure. 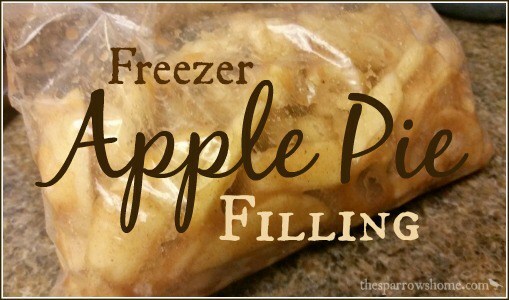 Thanks so much for featuring my Freezer Apple Pie Filling today! I'm sharing the party to my Facebook and Twitter pages. Aha what a great idea for those autumn apples!! And so far so good- no intrusive ads being seen here! Thanks for hosting us again Richella! Happy Fall! Richella, thank you for inviting us in to share our inspiration. Mine often comes from tablescaping, and it gives me a chance to play with my collections. :) I have not seen any ads like you've shown. I'm not certain, but it may be a case of the reader's antivirus protection software needing updated. We have scheduled scans of all files on our system weekly to help keep intrusive sites from getting through, and check for updates regularly on our anti-virus software. It really helps! Have a great weekend. Richella, thank you for hosting faithfully each week and picking such great articles and posts to feature. I don't ever recall seeing the pop up on your sight.